A hidden hazard on your property is not the kind of thing you’re going to stub your toe on. At least not the kind of hidden hazard that we’re talking about here. 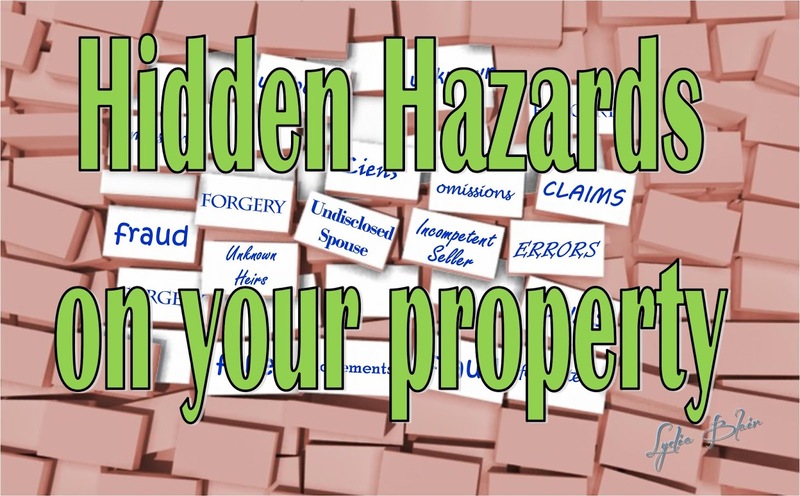 In the title business, a hidden hazard is an issue that is not uncovered in a traditional search of property records. 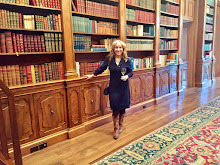 Most title companies are really good at finding potential problems in the research of deeds, maps and plats, mortgages, tax records, court records, liens, abstracts of judgement, probate and divorce actions, etc. Issues that can be found by a typical title search are considered “discoverable.” These would be items like outstanding mortgage loans, tax liens, court judgments, utility easements, and such. Anyone with enough time, resources and expertise could likely find these things in court records and a search of the chain of title. Or they would find most of them at least. But even the most fastidious title search may not reveal a hidden hazard. Sometimes they are impossible to uncover until an event brings it to light. For example, there could have been a previous act of forgery or fraud in the transfer of a title that surfaces many years later when someone with rightful ownership appears with a claim. Identity theft is alive and well in the real estate business. If the legal description of the property is incorrect due to error, the deed may be defective. Clerical errors still happen in this electronic age. Or the error could have occurred two or three sellers back in the chain of title. More common hidden hazards include claims by previously undisclosed heirs or spouse. An unknown heir can show up with a legitimate claim to all or part of a property. Or a married seller may claim to be single and then transfer the property without informing the spouse. This undisclosed spouse may appear after closing to claim a stake in the ownership. No one wants to buy their dream home only to have a stranger serve them with notice that granny wasn’t mentally competent to sell her property to them. These kinds of hidden hazards can jeopardize your right to ownership in your property. This is why property owners get title insurance. Title insurance protects the buyer against loss if a hidden hazard results in a claim against their ownership. If someone makes a claim of ownership against their property, title insurance will assure the owner of a legal defense and pay court costs, according to the terms of the policy. If the claim is determined to be valid, the owner may receive financial compensation for loss up to the amount of their policy. A hidden hazard is unforeseeable difficulty and an unpleasant shock for anyone. Without title insurance, a hidden hazard on your property can hurt a lot more than a stubbed toe – and take a lot longer to recover.